From NYT and USAT bestselling authors Denise Grover Swank and Shannon Mayer comes the thrilling sequel to “Recombinant” . . . When the sun rises, the nightmares are supposed to fade . . . this time, they don’t. An expose’ on the dangerous experiments Rachel and Lea uncovered with the Asclepius project turns the world against them. Except for a single man who claims he knows about a hidden plan to complete what was started with Asclepius. 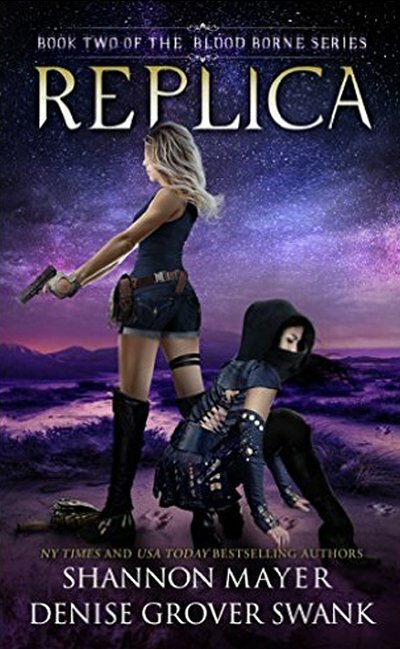 Faced with complications they could never have foreseen, and hunted by new and terrifying factions, once more they are in a race against time. With a new set of clues to decipher. A werewolf who claims he’s their friend. And a Cazador . . . that isn’t supposed to exist. This time either the two strong willed women will finally learn to trust one another . . . or end up watching one another die.